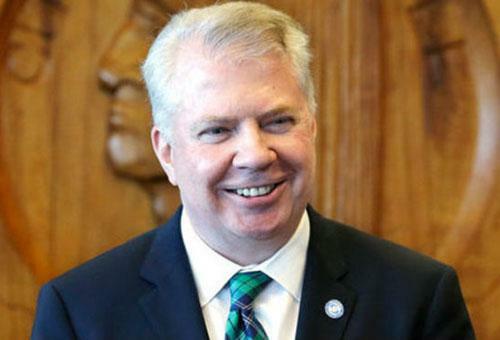 FFA - Seattle Mayor Ed Murray pushes for Sharia mortgages. WASHINGTON – A proposal in Seattle meant to increase homeownership among Muslims by offering financing compliant with strict Islamic law -- known as Sharia -- is gaining ground in the latest test for local leaders trying to accommodate diverse religious beliefs. "We will work to develop new tools for Muslims who are prevented from using conventional mortgage products due to their religious beliefs," Seattle Mayor Ed Murray said during a press conference July 13. While Seattle leaders want more lenders taking part in the Sharia program, there are some already offering such unconventional financing. Seattle-based Halal Inc. advertises on its website that "instead of starting with a flawed system and trying to 'make a fit,' we took the perfect system ordained by Allah and created a legal framework for it." Multiple calls to Halal Inc. by FoxNews.com for comment were not returned. To read the full article at FoxNews.com click here. What happens when Islamic fatwa committees and Islamist regulators (domestic and/or foreign) want Seattle financial institutions to pay the zakat on the profit they made from Sharia mortgages? Do these financial institutions know that part of the Zakat is used to fund Jihad? How many of these financial institutions’ non-Muslim customers will appreciate their bank helping to financially support Jihad? How many other policies will Seattle officials want to adopt just to embrace Sharia minded Muslim residents and the money they spend? Florida Family Association has prepared an email for you to send to the mayor and city council objecting to opening the door to Sharia law. The email for this article was deactivated after nine months of inactivity on this issue by the city council.